A hand held 12 function dual-controller powering 2 mini-eggs. White storage box for discreet yet compact storage. 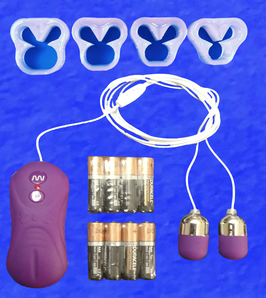 For immediate use, 4 sets (8 AAA) of industrial batteries are included (controller runs on 2)! !